Posted January 20th, 2012 by Karl & filed under MailBigFile, MailBigFile News. It’s been a very active week in the internet world with the SOPA blackout followed today by the news of MegaUpload being shut down. To close it off, here are our top 5 of the week. 1. Service Update – Server Migration. 2. New Feature – Short Links for Business Accounts. 3. Coming Soon – Increased Download Limit for Business Accounts. 4. New Feature – Disqus Commenting System to the Blog. 5. 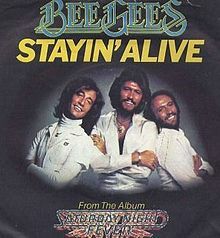 Service Update – Staying Alive. We’ve been working hard this week to complete the server migration for our service to provide an even more stable and reliable service for our customers. Some of you may have already seen this take effect recently with it causing a temporarily halt to your service, although you should have been able to get around this by going to http://eu.mailbigfile.com/yourcompany. This transition has now however completed and these issues should have vanished. You should now notice a quicker and more streamlined service with improved upload speeds. We also believe that the new server location will provide even greater stability and resilience to the back-end systems so you can be even more confident using MailBigFile for your important documents. We’ve had short links for files sent on the Free and Pro service for a long time now, it’s been one of the trademark parts of our program. However we are now bringing this feature to our Business Accounts, meaning that everyone will have access to this feature. The Business Account short links will take the form of ‘http://mbf.co/xxxxx’ where the x’s will be a random combination of letters and numbers, again just like how they are with the Free and Pro. Currently, this will not be available to all as we’ll be rolling it out slowly to ensure no unforeseen problems occur for anyone. That being said, should you like us to turn you on early, please contact us at webmaster@mailbigfile.com. As we’ve been able to move our server over to this new server, we’re also now in a position to increase the download limit for our Business Account customers without it impacting on the price you pay. As such, we can now offer our Business Account customers up to 100 downloads on their files, doubled from the normal 50. This would take effect on all files they uploaded from here on and so would become the new default amount of downloads for files they upload. This should now be active on your account however, if for whatever reason you did need this re-capped down to 50 or would like to increase it further, please contact us at webmaster@mailbigfile.com. A colleague of mine recently pointed out that the current format for commenting on the blog is a little dated and well, a little inconvenient in which to comment on. As such, we’ve made a change to the actual commenting system on the blog and changed it to the Disqus system, which I’ve always erroneously pronounced “Discus”. With Disqus, you can log in via your favourite Social Network platform whether it’s Facebook, Twitter, Google or Yahoo. Actually had this song in my head since, well, since the last episode of Sherlock Holmes; but the British Heart Foundation advert didn’t help much either. Given the recent events with SOPA/PIPA and the closure of MegaUpload, it feels good to still be alive and available for our users. As we are still going, we’ll be looking to continually improve and excel on our service so that you continually get the most out of our product. With that in mind, the results of our recent survey (which can be found here) will be posted in the next couple of weeks. I’d like to thank everyone again that took part.